Halloween season is upon us! I, for one, am excited about starting the annual hunt for perfect costumes. You can save money this Halloween season by creating your kid’s costumes on your own, instead of buying them. This doesn’t have to be super involved. I’ve rounded up four awesome costume ideas that won’t take hours of sewing and gluing to pull together. Here you go! The third Despicable Me movie came out this summer. Are your kids still crazy about Minions? Use a yellow sweatshirt and denim overalls that you already have lying around, and you’ll be half way there with this costume. Pair a D.I.Y. 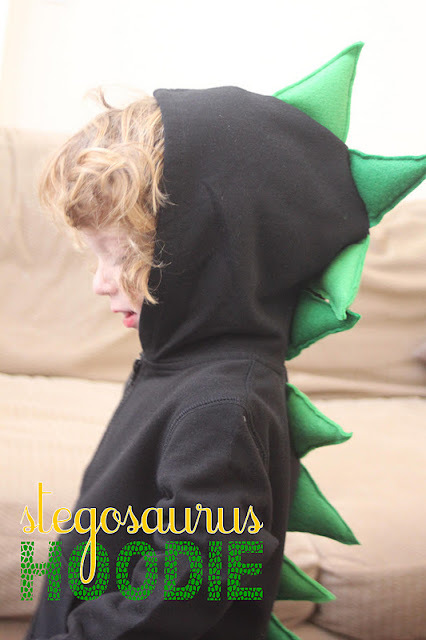 Dinosaur hoodie (just take a hoodie and sew stuffed felt triangles down the middle of it!) with sweatpants, face paint, boots, and gloves. Tape “claws” onto the gloves and boots for extra dino-ness. The added bonus of this costume is that your kiddo will probably love to wear the hoodie year round! Paint liter soda bottles to look like air tanks, and take the swim goggles out of the beach-bag! Black electrical paint will make your “tanks” look official. 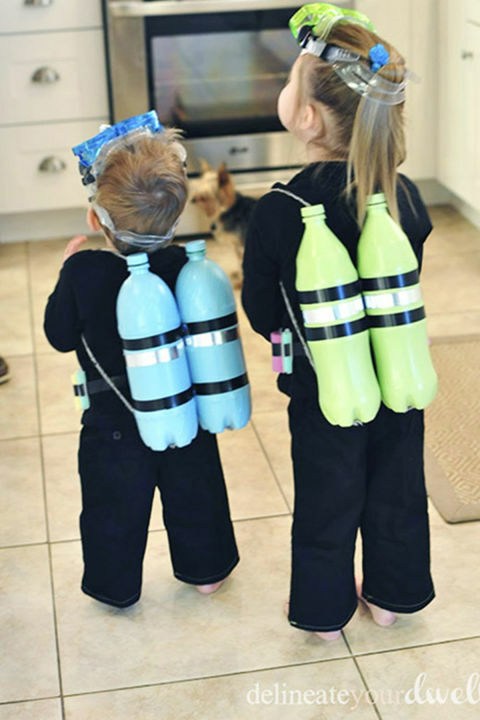 This costume looks great on siblings as in above; what a cool diving team! Use a brown paper bag for the skirt, and pretty tissue paper for the flowers. 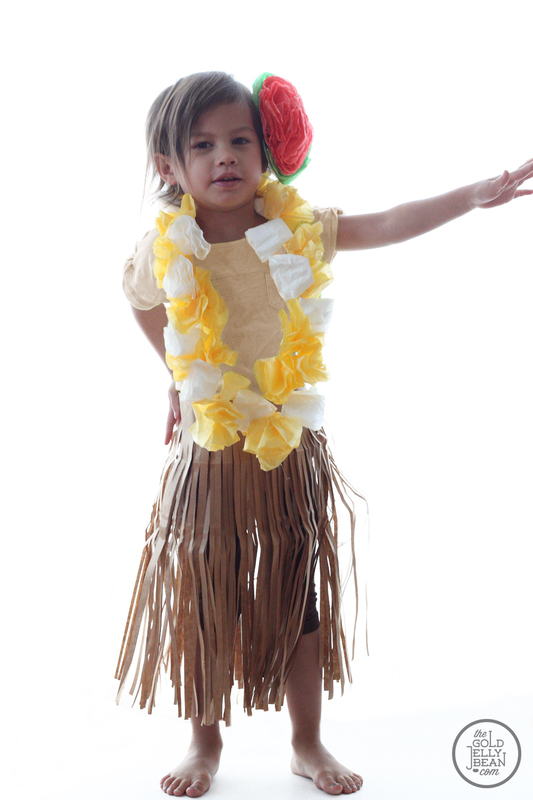 Decorate a pair of sandals with little tissue paper flowers, and perhaps save a flower for behind the ear. I hope that these costume ideas gave you some ideas. I love costumes that are either relevant or classic. And of course, they should be easy and cheap to create! Do you think that you will be making your own Halloween costumes this year, or buying? Let me know in the comments below.